Tea and conversation with Keith Stephenson flows like the Whangarahi Stream bordering his property. It is a privilege to listen to and learn from a man who has made his life all the more extraordinary, simply by rolling up his sleeves and getting on with it. Keith wears many hats. He is a grandfather, a greenkeeper, an athlete, community board member, periodic detention supervisor, and, for almost two decades now - event organiser of some of the Coromandel’s most iconic sporting events. The Flight Centre K2 Road Cycle Classic is one of the events helmed by Adventure Racing Coromandel and its associated Spirit of Coromandel Trust; an organisation founded by Keith, his wife Rita and friend Andy Reid. 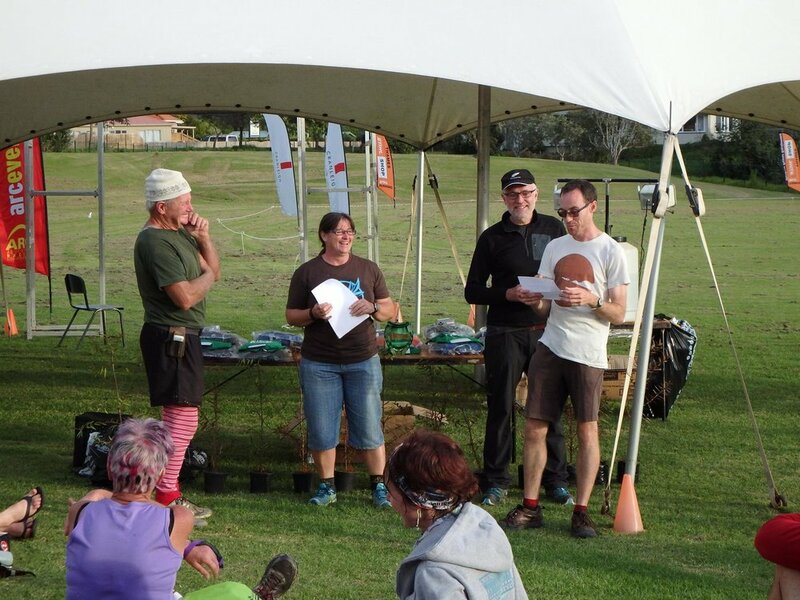 Along with the cycle race, the trio also organise the ARC Multisport Adventure Race and the Great Cranleigh Kauri Run. Proceeds go towards their vision to establish an outdoor education centre in the Coromandel. At an age where many would consider slowing down, Keith just keeps going. How does he sustain the energy and commitment to drive multiple long term projects forward? He is, by his own admission, all about endurance. “It’s just who you are. It’s interesting to see how far you can go, even when you don’t want to. Don’t come in for a feed until you’re finished,” he grins. Keith’s love for adventure started as a “little fulla in the Waikato”. Born in Arapuni, one of nine kids growing up in Putaruru, he first discovered the New Zealand bush through pig hunting. His early working life saw him on a farm in Waotu, which he “loved to bits”. His family all shifted over to Coromandel in 1961 - and as there was bush everywhere, Keith would take his dogs and boat up too. He later moved to Coromandel and married Rita, who grew up just downstream from their home of almost 40 years. A keen multi-sporter, even though he reckons he “was only ever a middle of the road athlete” - Keith’s favourite discipline is running, followed by a love of road cycling, swimming, biking and kayaking.” His thirst for adventure is what inspired the K2 into existence. K2 riders passing Kuaotunu, the small Coromandel town from which the K2 gets its name. Keith and Andy overseeing a day recognising the huge volunteer team which supports their events. The K2 (short for Kuaotunu 200) is a 200km road cycle race encompassing the Coromandel Peninsula. It attracts novices, weekend warriors, committed cyclists and elite athletes. The diversity is part of its appeal and is one of the things that keeps Keith going. In addition to the 200km, there is the Pearl Izumi K1(100km) and the Quarter K (50km). 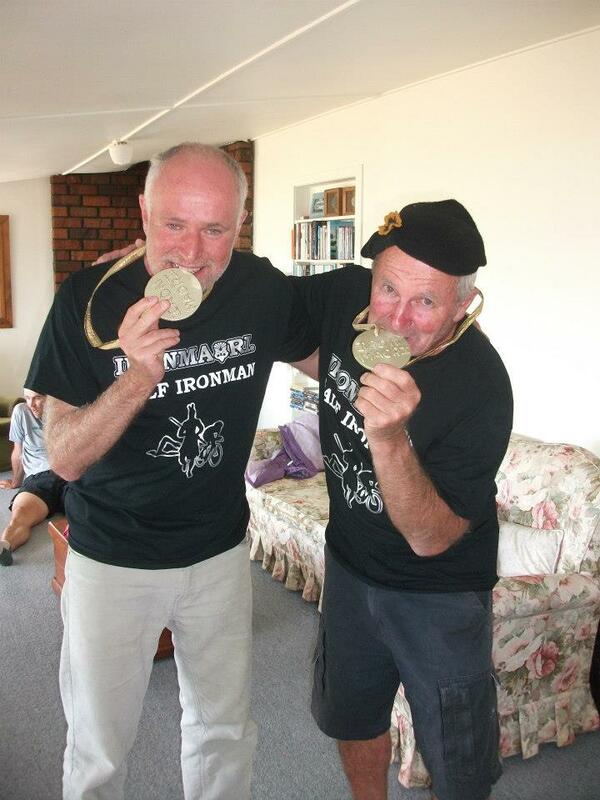 The goal of developing an outdoor education centre in Coromandel has kept Keith doing the events all these years. The project is progressing and the Trust is currently looking at a beautiful piece of reserve property alongside the sea. The aim is to make sure they get the site and all the paperwork done so it can grow from there. Keith is confident there’ll be someone willing to pick up the project when it’s time for him, Rita and Andy to call it a day. “And we’ll only stop when we can’t breathe anymore,” Keith laughs. Keith and Andy having some fun after competing themselves in another NZ event. Another “little project” Keith is driving forward is a 54 hectare bike park in Coromandel. After 12 years of lobbying, resource consent has now been approved to utilise the recently capped closed landfill, earmarked for the bike park. The Spirit of Coromandel Trust have agreed to progress the project which will take 10-15 more years. He’s looking forward to encouraging a new generation of Coromandel kids to get involved in Working Bee’s to help the park take shape. Planting day. Proceeds from the Kauri Run go towards replanting the Coromandel Kauri forest. It’s easy to understand the rapport Keith builds with people of all ages and walks of life. Every Wednesday for the past 12 years, Keith has supervised a small group of people serving Periodic Detention, doing firewood and other chores. He mentions one young man who completed his PD, but decided to come back to help put the large K2 promo bikes around the course. Established in 1989 Keith and Andy's 24 Adventure Race involves kayaking, mountain biking, trekking and other challenges on a course kept secret until the start. He still trains and competes in events, adding “there’s nothing nicer after organising events for 17 years, than to pay your money, rock up to the start line and go and smash yourself as much as you like.” Keith mentioned he recently “snuck in a kilometre run” during a walk three months after his recent hip operation. “I suppose we’ve all got to slow down on our running at some stage,” he surmises. Keith and Rita at the finish line of the IronMaori which Keith recently competed in himself. His strategy for getting things done is to live in the present, but take inspiration from the energy of your younger years. “You’ve got to think back to when you were 21 and nothing was impossible. Hang onto that. That only happens when you’ve got a good partner,” he adds, paying clear credit to Rita. On top of the ARC events, Spirit of Coromandel Trust and family and community duties, Keith still works 36 hours a week greenkeeping at the local golf course. I wonder, does Keith ever just sit down and read the paper? “Well, you know what I find relaxing these days?” he muses. “No, Keith? Tell me,” I say. As do you Keith. As do you.